First class guitar purchase. Easy, quick and professional. Beautiful instrument as described. Don't hesitate to purchase from Charlie and Capital Guitars. Seller was on the shipping immediately. The guitar arrived in the condition which it was described. It is a stellar guitar. I'm a happy customer. Just wanted to take a minute to thank you again for a smooth transaction and an absolutely fantastic sounding and looking guitar! Absolutely love the sound! Great seller. Fantastic product, easy to communicate with and shipped fast and very securely. Just wanted you to know that the guitar arrived in fine condition. You do an excellent job of packing. Gave it a whirl thru a Matchless DC30 combo and a Mesa Triple Crown 50 (with 6v6 tubes) thru a Friedman 2x12 cabinet. It takes to both extremely well, and is fantastic to play!!! Sounds wonderful. I am a happy customer and will likely return. Thank you. Great guitar! Exactly as described! Immediate shipment! Highly recommended seller! Packed/shipped with care, exactly what I had hoped for. Grateful for the swift shipping and very pleased the guitar was exactly as specified. Hey Charlie. Got the guitar a few hours ago. I've been playing it ever since! Sounds, plays and looks beautiful!! Super classy!! For a guitar that hasn't had much time to open up it really sings. Seems like the low end (bass) is more dominant but that may change a little as it gets played more. Anyway, just wanted to thank you again for your patience and great service. Fast shipping. Well packed. Guitar is better than advertised, & in fantastic condition. Looks untouched, even the case is pristine. Exactly what I was looking for. Love it! 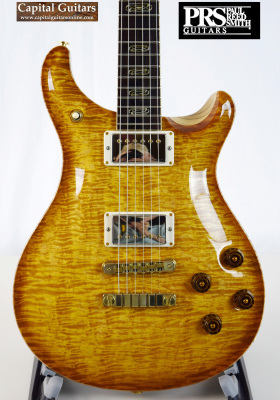 Very fair price for near mint PRS 594 10-top. Would use Charlie at Capital Guitars without reservation. Great transaction. Top seller who deals with high quality instruments. Prompt shipping and response. A+++++ at every level. Highest recommendation. Fair price, fast shipping, as described. Thanks! Guitar came today. It's beautiful, love it. You do a great job taking pictures, no surprises. Thanks for your help and a pleasant sale. Glad to be a repeat customer. My third acquisition is enroute from Charles and the guitars are always as advertised and packaged magnificently. 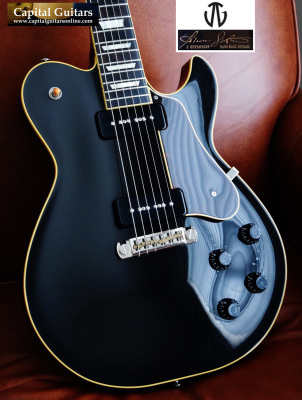 The photos he offers along with a sound bite and often a video make this the best place to start your search for a high end guitar. Highly recommended. Fast shipping, as described. Killer axe! Mr. Hughes sat on the phone with me for about and hour and deliberate what I wanted in a guitar. He wasn’t pushing the sale, he was trying to discern what suited me as a gigging musician whether he currently carries it or not. He cared. I even mentioned the specs I liked and not only did he set it up for me but offered to drive 40 minutes away to get just get the string I liked. Would absolutely recommend Mr. Hughes to purchase a quality instrument from him and I will do myself again. Oh and he shipped that day! ​Fast shipping and quick communication. Great experience from this seller. Thanks. 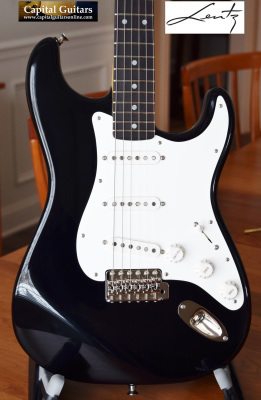 Great deal on an amazing guitar! Super fast shipping too! Impeccable service. Dead accurate description, quick communication, quick resolution of shipping problem (shipping company at fault, not shop), very well packed, a pleasure to buy from. Absolutely love the guitar. Will definitely continue to buy from here! What a GREAT guitar - even more interesting in-person. I'm not easily impressed anymore - this one is remarkable. Plays and sounds and good as it looks. Thanks again for another great deal. I will look forward to our next one....probably tomorrow LOL! happy. Thanks again for the great purchase experience. An amazing transaction as usual. My third with CGO and always great!! And an amazing strat with a terrific setup!! Thanks, again for everything!! Accurate product information provided when requested and excellent communication throughout transaction. Guitar shipped quickly and without issues. Would definitely do business with them in the future! Absolute killer guitar. Worth the money! Great guitar and great seller!! Great service; fast shipping of a beautiful guitar!! I would definitely deal with Capital Guitars in the future.. Thanks, again!!! Just received the 00-42SC JM, beautiful guitar and wonderful condition.Thank you, Charles. You are one of the BEST shop owners/dealers I have ever dealt with. Great instruments, high efficiency, detail-oriented...can't say enough! I look forward to our collaboration in the future. Great transaction, very quick shipper. Guitar condition beyond expectations. Perfect deal, no complaints at all! I thought to myself “this must be Photoshopped” because the guitar was so beautiful… But it arrived and it looked even better than the photos. It arrived perfectly packed and exactly as described. I’m a fan of Capital Guitafrs! Fantastic seller honest and sensible! Ships immediately! I will be happy to buy from him again. Great guitar. Well packaged. Thanks. Charlie is all good! This is a once in a lifetime dream guitar. Guitar is more than what I expected. Thank you Charlie! Fast shipping, smooth transaction, highly recommended! Great transaction. The guitar is exactly as described and was well packaged. Excellent attention to detail in the packaging. I ordered it on Wednesday at lunch time and it arrived Friday morning. You can't beat that for fast shipping. Received it today. Everything is excellent. Thank you. Arrived as advertised, great sale! Thank you! Guitar is exactly as described. Great experience with this purchase. Thank you! It's everything I'd hope for in terms of feel, tone, etc. It makes me want to play better. As always, Capital Guitars provides only the best in products and services. The guitar shipped immediately and was exactly as described. It's a beautiful instrument...as all Gustavssons are. I will certainly continue doing business with Capital Guitars. Perfect in every way. Shipped unbelievably fast. First class deal. The guitar shipped within a few hours of my purchase! It was packaged properly and both the instrument and the service exceeded expectations. I would most certainly do business with this seller again. One of my best experiences which is saying a lot...this one couldn't have been better. Just great. So happy to have this guitar. They were fast shipping with no fuss. I’d do it again. Great seller! Honest, helpful and reliable. Fair price, arrived as described and very fast shipping. I am over the moon grateful for being able to own this beautiful and pristine Taylor guitar. Your care and packing speaks to your appreciation and affinity for the craftsmanship of musical instruments. 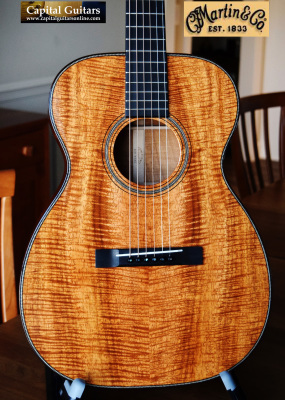 The Taylor K22CE is my dream instrument and would not have been possible without your listing. I lived in the Capital district for 10 years and felt like the Universe was guiding me to the right instrument, the right shop and the right time - even though I was “only looking.” Thank you for making my guitar dream come true! Thanks for the excellent service. It's been a pleasure doing business with you again. The guitar arrived right on time, in perfect condition. You were correct, it is indeed marvelous! I have been having a blast playing it. As expected, the Gustavsson lived up to all expectations; a superb instrument. Thank you for the incredibly swift shipment...I think you set a record. Obviously, it arrived quickly, well packaged and exactly as described. You couldn't have a more satisfied customer. Bravo. Well done! Great seller ... fantastic product in even better condition than posted and very fast shipping. Would definitely buy again from this shop. 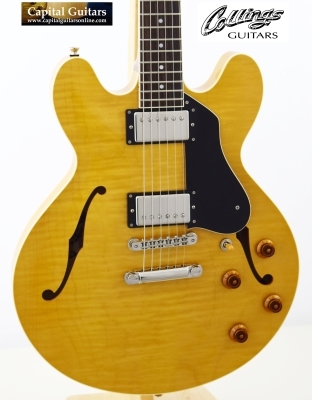 Great guitars, great services, what a great seller! Great guitar! Fast shipment and arrived nicely packed with care and in mint condition as advertised. Couldn't be happier with the guitar and the experience with the purchase! Just as described, excellent communication and shipping. Definitely will buy from again! Superb seller. Meticulously packaged, as described. Thank you. Fast shipping, safely packed, guitar of my dreams! Thanks! Fantastic guitar! Description was absolutely accurate, received the guitar right away. Great seller and I will purchase from Capital Guitars again. Thanks for the prompt shipment of this fabulous guitar. It arrived this morning safely. Packing was superb. This guitar is everything you said it was and I’m proud to own it. Thanks Again. Charlie, Charlie,Charlie What a beautiful guitar and it plays like silk. I can only wish that I would have known about your company years ago. I have never dealt with a more professional and knowledgeable individual in my years.You have forgotten more about guitars than most people could ever dream about. You made this transaction flawlessly as is this wonderful instrument and I thank you. The packing of this guitar was impeccable as was the shipping. I will cherish this beautiful guitar for years to come and will certainly be working with you in the future. Thanks again for everything. Wanted to send a note to say that the guitar looks and sounds beautiful, and arrived just as described. I also appreciate the careful packing/shipping. Was a pleasure buying from you. Just as described. I couldn’t be happier. As advertised. Beautiful piece of wood, Last guitar she will ever need. Fast communication, friendly, fast shipping. Meticulously packed. Smooth transaction. Highly recommended. Outstanding guitar-better than advertised! Great communication. Quick shipping in secure packaging. Highly recommended seller! Excellent transaction. Without a doubt, the most amazing packaging of a guitar for shipment I have ever encountered. They could give a masters class on how to prepare a guitar for shipment. Two thumbs up. The Underwood S arrived safely and man, what a guitar! The first thing I noticed was how booming and clear and articulate it was unplugged! It had that sweet tone around the 12th fret you get on good strats - still unplugged! Amazing resonance and a very solid buiid. It's a tank, a beast but an elegant beast! Thank you once again. Thanks for the great packing, quick shipping, excellent communication, fair price etc. You are always great to work. Wonderful guitar. I’m so impressed with the work Collings does. Have a great holiday. Absolutely perfect transaction with a great seller. Fast shipping, careful packing, wonderful instrument. The photos certainly didn’t do it justice. It’s beautiful and sounds even better. Thank you again. Spectacular guitar, perfect service. Thank you! Wow! The Grantura arrived safely. I've been playing it unplugged and could barely put it down long enough to send this e-mail! It is very comfortable to play and that clarity and definition in the notes is breathtaking! It is such a beautiful instrument in looks, sound and playability. I'm so glad I was able to get it. Thank you very much. Well done, well communicated and shipped well and timely. Thanks! Awesome guitar, shipped super quickly and well packaged! Thanks. I just wanted to take a moment to thank you your help with my purchase of the Lentz DL-90. I am very happy with the guitar and I will certainly purchase from Capital Guitars Online again. Capital Guitars Online is a rarity among online guitar retailers and offers a trifecta of guitar buying goodness; from Charles' deep knowledge of each guitar, pricing that makes sense, and a great selection of hard-to-find instruments. If you are ready to leave behind the world of factory-made guitars that are over-produced and make the leap into an artisan-built guitar, look no further! I'll definitely purchase again. 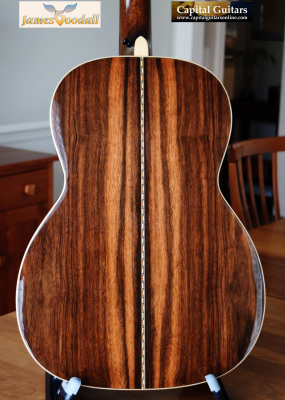 I can certainly envision a Lentz S-style guitar in my future! Fast shipping and guitar was exactly as described! Thank you for a smooth transaction! Highly recommended! Item arrived as described, packed very nicely and shipped promptly! Amazing seller! Fast shipping and communication, excellent packing. Absolutely amazing guitar. I've owned a few Tyler's and this is as good as it gets. Everything in this transaction worked perfectly and the guitar is stellar. Thanks for this great instrument. Arrived yesterday just fine. First session was this morning. Love it!! Capital Guitars rules! Thank you for this beauty! Charles, you were right, the guitar is magnificent! Many thanks. Just wanted to let you know I love this guitar. To me it looks brand new, the curly maple and finish is beautiful and has just the tone I was looking for. Stay well! Outstanding, will buy from again. Great buying experience with Capital Guitars Online. Fast shipping for a great amplifier. Thank you!!! Awesome guitar fast shipper! I will buy from them again! GREAT SELLER !! NICE TO WORK WITH !!! SUPER PACKING !!! WOULD DO BUSINESS WITH AGAIN !!!! Capital Guitars is a joy to work with: professional service, quick responses, exceptional photographs, and detailed specs. I was fortunate enough to be in the area and try out a good handful of the inventory over a few hours. I walked out with a different acoustic than I'd had my sights on when I first reached out to Charlie and I couldn't be happier! Charlie was most accommodating, even going the extra distance to drive me to the train station. A truly outstanding experience on all fronts! Thank you, Charlie! Capital Guitars is a very professional organization. Lightening fast responding to inquiries and shipping your guitar purchase. I would be delighted to do more business with them. Capital Guitars is one of the best people I've ever dealt with. Total PRO. Awesome transaction! Could not be happier with my guitar! In mint condition, just as described! Excellent seller! Would definitely do business again! Very professional and a pleasure to deal with. Will recommend to all, and I look forward to doing more business one day soon.!!! Wow! What an amazing guitar! Great tone and great feel! Thank you so much! Hey Charlie. Wanted to say many thanks. The Olson is truly an amazing work of art and seems to get better every time I pick it up. James sure knows how to work magic with wood. Again, thanks much, great working with you. Hey, thanks for the guitar, it screams! A great playing and sounding instrument, thanks again! Received the guitar! I've been playing it for a few hours now. It's really amazing. Very special instrument. Incredible tones. Aggressive yet sweet at the same time. Very balanced sound. The build quality is top notch. Thanks for the great buying experience. I am totally thrilled with the Bourgeois. Had the same guitar, but without the cutaway years ago and sold it. Regretted it every day since. With this new acquisition I feel like my old one is back. To me the Bourgeois tone is THE one. Thanks for everything and I hope to buy a few more guitars from you in the future. Charlie, The eagle has landed and she won't be coming back!! She is truly a thing of beauty! The playability is off the chart as is the clarity/complexity of the tone. Also the accuracy of the intonation across the entire fretboard is remarkable. Thanks again for a painless transaction!!! 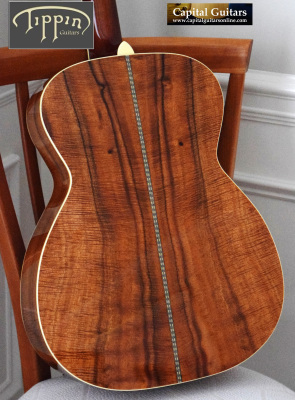 Stunning guitar, with super fast shipping and a great packing job. Awesome seller! Great seller to deal with. Guitar exactly as described and super fast shipping. Thanks! The guitar got here right on time and it is just lovely. Plays like a dream, sounds awesome, and there are no issues at all. Thanks so much for a good deal on this fantastic guitar. Hi Charles! Just received the guitar. Without any troubles. Have nothing more to say about it except for expressing my great thanks to you. Wish you luck and success in your wonderful business! Thank you for everything. The Froggy is settled into its new home and is beyond my expectations. The guitar was exactly as you described, the price was very reasonable, the packing was great and you were wonderful to deal with. It was truly a pleasure. Hi Charlie! The Goldtop has arrived safely today. I love it! Feels and sounds great! Thank you very much for your good service and communication. It was pleasure doing business with you. With recent purchase of a R. Taylor Style 1 we couldn't be more satisfied with the transaction provided from Capital Guitars Online. 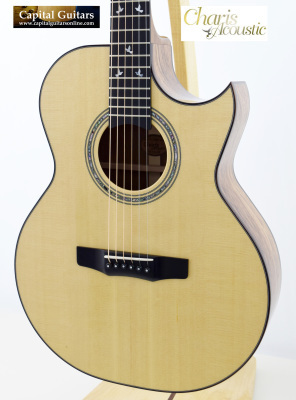 We had been looking for the specific wood combo of this guitar, Capital Guitars had exactly what we had been searching for also to mention the packing was supplied with much care when it arrived. Keep Up The Great Work! Arrived safe and couldn't be happier. Thank you! Excellent transaction...super fast shipping...thanks Charlie!! Just picked up "Ruby" from the FedEx store. Beautiful guitar! Can't wait to get home to try it out. Thanks! Just a quick note to let you know that I’ve received the guitar (have had it for several days, actually) and was impressed at how well it was packed for transit. Your description of the guitar’s condition was spot-on and the action/setup is absolutely perfect. 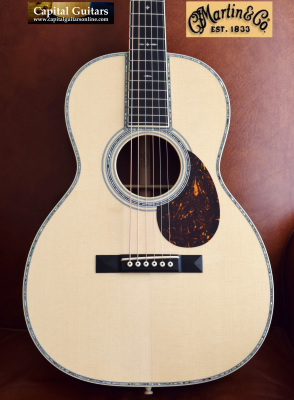 It is indeed a marvelous Martin – I am impressed at the tonal balance and quality. Pretty much exactly what I am looking for in a guitar. And it was a smooth transaction (thanks!). Great seller, wish everybody were as good as them! Beautiful Guitar! Item exactly as described...well packed and shipped out the same day! Awesome service....thank you! Great seller, prompt transaction guitar in better condition then described, a pleasure to do business with. I would highly recommend. Great seller. Fast. Communicative. Highly recommended. The Taylor W14CE LTD arrived in perfect condition. The packaging was the best I have ever seen. I highly recommend this dealer. Great seller here! Pro-packed and the guitar was shipped out very fast! Thanks a lot! 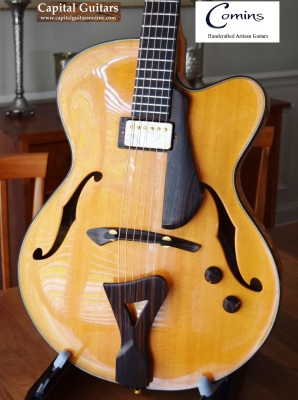 Flawless transaction,great packing, superb guitar! The Tele has safely arrived today. I love it! Feels and sounds great! Thank you very much for your good service and communication. It was pleasure doing business with you. 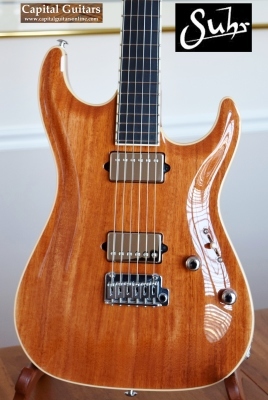 I had an excellent experience purchasing my guitar through Capital Guitars Online. The product was exactly as described and came quickly and was very well packaged. Thanks! We received the R. Taylor yesterday, thank you for a easy and pleasant transaction. This guitar is outstanding in every way. They always are a notch up from the standard production Taylor's. I will save your information for future guitars. Thanks again! Got the guitar on friday, thanks! I brought it out for my gig last night, what a great guitar! It felt "at home" the second I got it; nice neck, perfectly balanced and killer pickups! Only did some personal set-up and then it was good to go! Thanks again! I just wanted you to know that I received the 335 on Thursday morning and just love it! I was thinking I wouldn’t like the pickups, but they are really good and considering its basically a new guitar it's very resonant so should open up nicely. I took it to a gig last night and am including a link a fan sent me with me playing it with my band Big Cat. That's Malford Milligan on vocals (ex Storyville which had Chris and Tommy from Double Trouble) and Roscoe Beck on bass (Robben Ford, Eric Johnson and Leonard Cohen). I really appreciate the good deal you gave me and your kindness over the phone. Many Thanks. We have a winner! This CL Deluxe was everything I'd hoped for. BIG Tele-on-steroids sound. Extremely playable neck. Flawless build. Plenty of low end. The transaction was very smooth start to finish. I was only able to take the chance on a model I'd never played because you were willing to provide thoughtful answers to my questions. Shipping was super-fast, and packaging was perfect. I hope to do business with you again. Kudos to Charles for a wonderful transaction. I took a chance and bought a very expensive guitar online based on communications with Charles and his detailed description. I was not disappointed. Excellent packing, shipping, and the guitar is truly flawless as he described, a lifetime guitar. I would not hesitate to buy from him again. Highly recommended if you are looking for something really special. Many thanks Charles and Capital Guitars, you guys are the best! I want to thank you for all your help in purchasing so many wonderful guitars over the last several years. I appreciate the accuracy of your descriptions and the honesty which accompanies the pictures on your site. It is hard to believe that I have purchased a Collings, a Bourgeois, a Robert Taylor, a Taylor BTO, and two Froggy Bottoms from you! Your descriptions have usually understated the condition of the guitars and I have always been 100% satisfied. Your availability and affability when discussing your instruments makes you unique from most of the dealers I have worked with. I will continue to check your website and look forward to dealing with you in the future. The Collings arrived safe and sound. Thank you for a wonderful transaction. She was as described...and then some! Stellar playing axe! Now I know what the saying "plays like melted butter" means :) Thanks again for selling her to me. It's definitely got that "wow" factor like you said in your listing. Take care. Beautiful guitar and quick shipping. Thanks! I received the guitar:) amazing:) Im really happy:) thank you! I received the guitar in perfect shape and it is exceptional in every way. Pleasure doing business with you. Extremely pleased. Excellent communication and fast secure shipping. Would gladly do business again. Guitar better than described, wonderful packing, shipping was executed perfectly! Awesome guitar, as always with Collings...very professional seller, this guy knows how to prepare a guitar for shipping! Great seller and quick shipper with perfect packaging. I am sure I will purchase again from them. Thank you for the great deal! Awesome guitar! Item just as described. Fast shipping, well packaged, and responds quickly to questions. Thanks! Love my new guitar! Stunning sound and feel. This guitar, unlike the majority I have purchased, needs no set up or intonation work. That is worth an extra couple of stars!! Great! The guitar arrived in perfect condition. I’ve only had a couple minutes to play it and run through the settings, all work perfectly. Now comes the fun part of getting to know it, which amp(s) it likes, how to play it, all that stuff! So, we are good to go, thank you very much for the perfect transaction! Outstanding service! Hands down the best boutique dealer I have purchased from and I have dealt with all of them! Thanks Charles! The guitar has a magical sound. I can't put it down. Incredible .... Fast delivery and was well packed. First rate seller! Hi Charles. Picked up the guitar today. It’s a real beauty and sounds great. I’m going to have a lot of fun breaking it in and digging how the rosewood opens up with age. The action is really perfect for my style of playing. It sounds great with a pick too. Thanks again. Just want you to know the guitar is in hand and it is fantastic. ...What a great instrument and in the condition you listed. Thank you. Just a word of thanks, the guitar is awesome! It's certainly a "keeper". The Tele arrived a day early, on Monday. It is great, exactly as described and a welcome addition. It was a pleasure doing business with you. I plan to check your website often. My Tele arrived safe and sound. This guitar is exactly as you described it.....it's a gem. Also, I appreciate the way you handled the entire buying process, and the way that the guitar was packaged and protected. First Rate all the way! Well fellow AGF friends - we often hear about the negative experiences we have had as we pursue our chronic cases of GAS. I'd like to share an extremely positive experience I had that culminated today with the purchase of a Martin 000-28M Eric Clapton (#459 of #461) Limited. 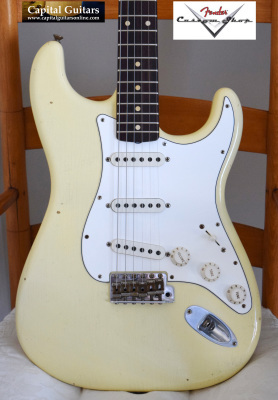 I first saw this guitar a week ago as it was being offered by Charles Hughes of Capital Guitars in the Albany NY area. The guitar was exactly as described and Charlie couldn't have been more accommodating throughout the entire transaction. He was experienced, knowledgable, passionate about guitars, and instilled the high level of trust that is necessary when purchasing a higher-end used guitar. I highly recommend Charlie if you are looking for something special to add to your stable. I wanted to let you know that the Bourgeois arrived safely today, and it is, as you suggested, spectacular. I also appreciate the excellent pack job and the extremely conservative description; I really appreciate that sort of detail. Thanks again; this was a superb experience in every respect. 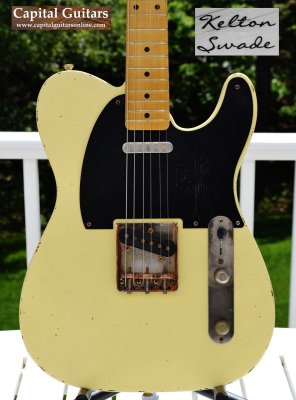 Boy, was I lucky to get this great Custom Shop Tele. Thanks (again) for helping me out with this sale; This one's a keeper, for sure! This is a special guitar. Visually and sonically. I have some incredible instruments but am beginning to believe I'll be reaching for this one most often. It was a pleasure doing business with you. Could not be happier with this beautiful guitar. Exactly as described (actually better) & truly amazing feel & sound. Buying online can be a bit unnerving, particularly for a high dollar item like this but I received excellent customer service & communications. There is nothing that could have been done better. Thanks. Just letting you know the Fender CS NoNeck Strat showed up perfectly safe. I was away on business in Los Angeles until last night. Got home and started playing and couldn't be happier! Guitar is beautiful, thank you very much. The Desert Sand finish is very unique and much prettier in person. The T-Shirt was also appreciated and a great touch. Thanks, Charles! The guitar arrived yesterday in perfect condition!! As I unpacked the shipping box I thought to myself---wow, what a meticulous guy. He has really put a great deal of thought and effort into ensuring that the guitar was protected during transit. You had advertised the guitar as being in slightly less than mint condition but in my judgement it is in mint-plus condition---essentially a new guitar. Oh my goodness what a great sounding instrument. 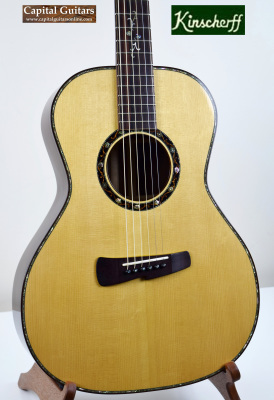 Bill Collings ready has it down to a fine art in regards not only to the acoustics but the aesthetics as well. Charlie, thanks again for the great guitar. It has truly been a pleasure doing business with you and I will continue to monitor your website for other great deals. Thanks. Hi Charles, I just wanted to let you know that I received the Lentz Hyde Park Tele today. As usual, it was perfectly packed and exactly as described. I knew it was going to be exceptional based on the last Lentz that I purchased from you. However, nothing could have prepared me for just how special this one is. I will not hesitate to purchase a 3rd guitar from you and will recommend you to my friends.Thanks again for everything! Just want to say a huge thank you to Charles at Capital Guitars for uniting me with the guitar of my dreams! A jaw droppingly awesome 58' Les Paul! Everything was perfect about the transaction from top to bottom. Charles was prompt to answer any questions I had and I really can't say enough about him and Capital Guitars. I was very reluctant to make this purchase as I'd never bought a guitar overseas before, especially of this caliber, but Charles put me very much at ease. The packing was superb, extremely well protected and not a scratch on it after travelling around 12,500 miles from NY to Western Australia and it was in my hands in less than a week! You can most certainly buy with confidence from Capital Guitars. Many thanks again Charles! Hi Charlie. I have been playing 50 years this fall and have been thru a lot of guitars. This is the best one that I have ever tuned up.The hammer ons and pulloffs have a lot clarity and the slides are extremely easy to do.The action and playability is awesome. Wish I had one like this many years ago. Have never heard such a loud warm sound coming from a small body. Thanks! A quick note to let you know that the guitar arrived safely and is really great. So all is well on our side and thank you once again for everything! The Taylor T5 arrived and all is well. :-) Besides adding my voice to the others praising your quality of inventory, I also want to add kudos for your service, honesty, and integrity. 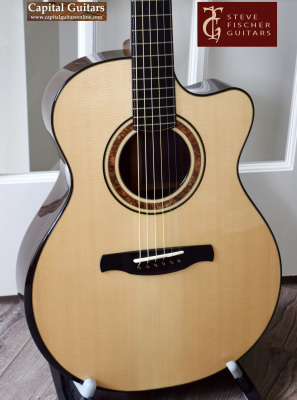 This T5 is a beautiful piece which is in every way a superior grade instrument - even when placed amongst a selection of several T5, this one definitely stands out. 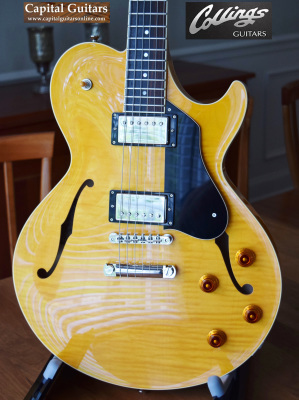 Exquisite playability, solid tone, immaculate "as new" condition - a premium grade highly figured top, and all the perks and paperwork, included. In particular I want to mention your superior and professional packing. 100% top drawer A grade. I admit I was a little skeptical that this guitar would be this nice at your extremely realistic price. Amazing! Thank you! Thought I would take a moment and drag myself away from my new guitar and let you know that it arrived Friday afternoon in good condition. I didn’t really get a chance to spend some quality time with it until Saturday morning. It is indeed a marvelous instrument. I only needed 10 minutes with it to know that I didn’t need a 48 hour approval period. This one is here to stay. Thanks! Wonderful transaction. Fast shipping. Guitar as mint as they come! Charles, the guitar arrived in perfect condition. Really nice guitar. Thanks. Charlie: We received the guitar and everything is as you said. Great packing and fast shipping. Very professional. Thank you! Charles: The Telecaster is a great guitar and I am very happy with it. It was a pleasure to do business with you again. Thanks a lot and best regards. Got the guitar today and glad to say it exceeds what I expected! Thanks again! Exactly as described, very well packaged and shipped fast. Can't really ask for more - except, perhaps, the talent to play like Rory Gallagher! Would certainly buy from Capital Guitars again. 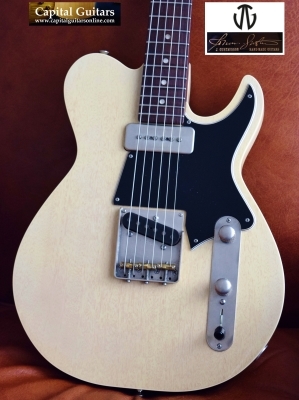 Great seller, amazing guitar! Overnight shipment and excellent packing..was a pleasure to deal with!! Thanks! Just wanted to let you know I got the guitar yesterday and it's amazing! Thanks so much for the fast shipping and the great customer service... it is much appreciated. The flame top on this looks so much better in person. When I first opened the case, I almost thought it was the wrong guitar because it looked like so much more flame compared to the photos... haha... It plays really well... the neck is on the chunkier side, but I expected that with an R8. I haven't plugged it into an amp yet (wife and kid were asleep ;-), but looking forward to doing so this weekend. I'm really happy with this LP so far and glad you guys had it for a great price! I would like to say "thank you." I recently purchased a Santa Cruz guitar from you, and everything about the experience exceeded by expectations. I was somewhat reluctant to make this type of purchase electronically, but those concerns were totally relieved by your excellent communication and service. Again, "thank you." I just wanted to thank you for letting me come to and try the guitar before buying. So far, I'm thrilled with my new beautiful Froggy. 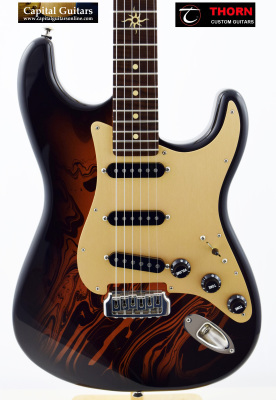 I expect this - but never say never - to be my last guitar and it's a great one. Thanks again. The Telecaster arrived exactly on time. It was a perfect transaction both with respect to communications and to modalities of delivery. The guitar is very light, very resonant, and it plays just smoothly. 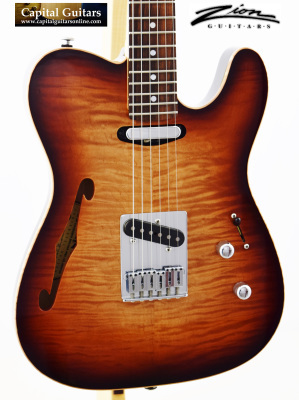 Being a Jazz/Blues player I especially love the sound of the neck pickup and that of both pickups combined. 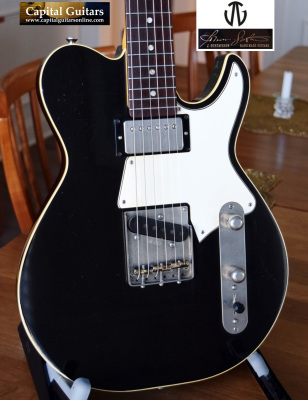 Altogether the best Tele I ever had, no doubt about that! Thanks a lot for the smooth deal and best regards. Thanks for the quick shipment. I've had a hard time putting it down. Everything about the guitar is spot on. Thx! 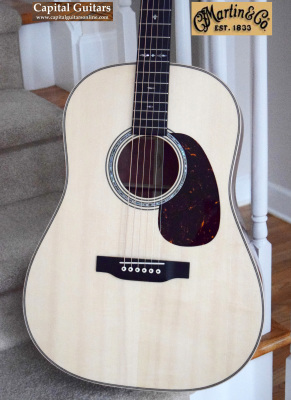 Everything about the purchase and transaction of my Martin guitar was perfect from the get go to playing my new guitar for the first time at home. 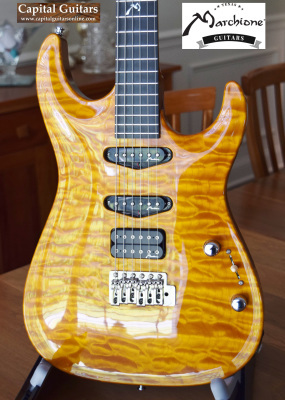 Capital Guitars Online was prompt in acknowledging the sale and courteously answering my questions, as well as the shipment across America, and setting up the tracking system for me to keep track of the delivery date. The safe care of my instrument was evident when I opened the shipping box. Easily the most protective couriering safeguards in all the numerous instruments I've bought over the years! 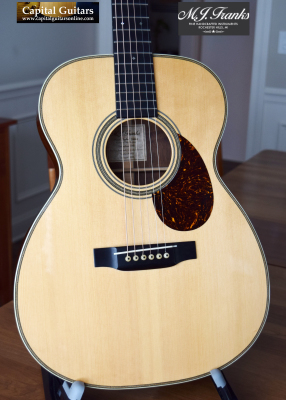 As well, my Martin more than lived up to the way Charlie described it on Capital Guitars website - in terms of tone, playability, structural soundness and pristine look. Many thanks and gratitude for this A+++ experience! 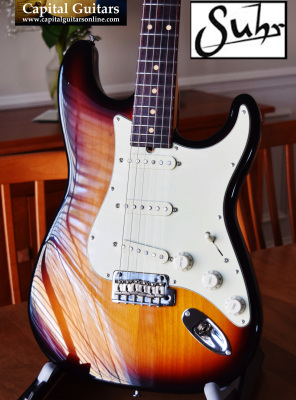 You may buy from Capital Guitars Online with complete confidence! Bravo! Just received the guitar. Very well packed. Thank you for that. The condition of the guitar is excellent, better than you conservatively advertised. And it looks only modestly played. To my ears, it sounds like a new guitar just out of the box. My initial reaction is that I have scored on this one. Thank you. Fantastic guitar. Overall, a very pleasing transaction. Thanks Capital Guitars! Great to work with Capital Guitars. Quick shipment. Would not hesitate to purchase from them again. Charles at Capital Guitars was fantastic to deal with. Great communication, fast shipping and the guitar was packed up better than new! Fast shipment, well-packed and great setup of the guitar. Highly recommended! 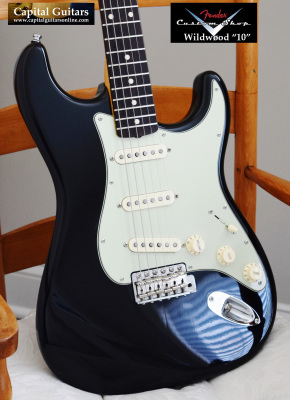 Awesome Rory Stratocaster ! Fast shipping ! A+++++++++++ seller ! This thing is an amazing thing to look at. It has a flame that is much better than than others I've seen on the web. Sounds fantastic! The neck is something to get used to though. It is wide. But it is everything you advertised and more. Thanks! Sorry it has taken so long to get back to you. 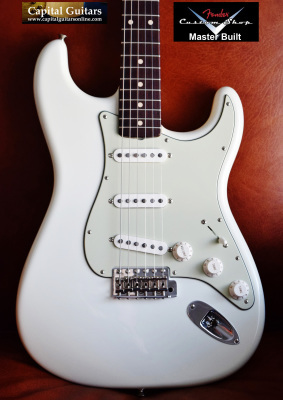 Firstly, the service provided by you is unparalleled in my purchasing of many Strats over the years. You are a fine judge of an instrument. The Lentz is a stunning guitar. My other boutique Strats remain in their cases. This guitar talks like few can. If by chance you get a Lentz with RW board of unbelievable sound quality (eg Lentz Reserve), please contact me. Thanks again. Hi Charles! Kopp arrived today and it was in perfect condition. It sounds really good already and it will of course only get better after some playing. Thank you for your very fast service and all the best in your business! Nice guitar, as described! Thanks! Great amp, perfect condition, very prompt shipping - thanks! Sweet Strat for sure. Love the checking. Thanks again! Fantastic guitar. Exactly as described. Fast shipping. Would buy again! Great guitar - exactly as described. Shipped to Australia with no hassle. Thanks! I can go into a guitar "super store" with 200 pieces on the wall and not be interested or tempted by a single axe. 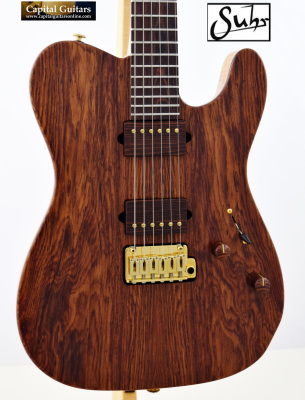 Conversely, at Capital Guitars, the numbers are small, but I want every damn one! Handpicked quality and great customer service win every time. The guitar has arrived. I'm very satisfied! You conducted business very honestly and perfectly, and for that I thank you very much. Best wishes from Germany! Gotta say it's really nice. Sounds amazing both acoustically and plugged in. Thanks again for the amazing instrument. You weren't kidding about it! Just want to drop you a line and thank you for your great service. I'm digging the Tele. I usually have a rotation of 18-20 guitars. Some I've had awhile, some come and go. I have done a lot of business with the big boy's; Wildwood, Dave's, Music Gallery and numerous small shops nationally. My experience with this purchase was first class. Once we got together on price your communications, quick shipping and I like the picture of the guitar on the invoice touch were second to none. So Thanks again I'll watch your site and give you a recommendation at every opportunity. Got the guitar and I LOVE it. Thanks for a nice, smooth, pleasant transaction. Also thanks for a great packaging and shipping. A pleasure doing business with you. Really looking forward to do it again. Man, Charlie, you guys always have the coolest stuff! 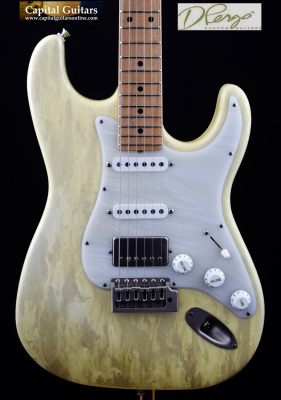 I'm still in love with the Suhr T Jr. you sold me a while back. Fellow TGPers, buy from this seller with full confidence in a smooth transaction. The Collings arrived yesterday safely and on time. Thank for the nice packing job. It's a great guitar. Not only beautiful but very resonant and plays like butter. This will make a great addition to my collection. Thanks for a smooth transaction. Just to confirm that the guitar was delivered yesterday and I picked it up today. Gorgeous, can't wait to plug it in. Thanks again! O M G !! What an amazing guitar !! The neck profile is FABULOUS !! Almost a dead on match to my Suhr.. Sounds great through my BRUNO UG30R and 2X12 Celestion Blue Cab... I'm Happy Charles..... thanks !! I'm speechless. From email to phone call, through price, packing, and shipping - I am in heaven. Thank you for your diligence and care in handling my dream axe ... And mostly, for saving it for me. I love everything about it. Your representation and description of the item, the photos, were dead on. It is a real pleasure to get what I worked hard to get and have it be right. There isn't a flaw on this guitar. This is simply the prettiest, best feeling, best sounding guitar I have ever had. Just got the guitar and I am one happy hombre. Froggys have a certain sound that is unique and this a beautiful guitar. Thanks again for the fair price and the easy purchasing experience. Just wanted to let you know I am loving the guitar. Couldn't have asked for a better 335. Looks/plays/sounds/feels just great. I appreciate you getting it sent over so quickly. Hi Charles. The guitar arrived today on schedule; quickest delivery ever from the US. Well done. The guitar looks and sounds great! ​The Cruz arrived safe and sound yesterday - the box was ice cold from the FedEx truck so I let it sit all day (torture). AWESOME Strat. 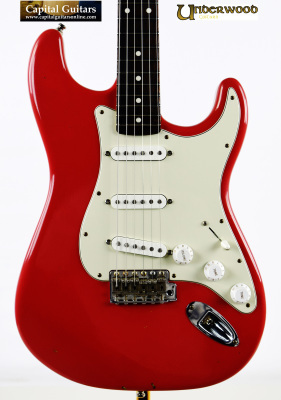 As you may know, I have played a LOT of Strats - this is a really special guitar. Thank you. I have always wanted to try one of these and I am really glad our relationship allowed me the opportunity to do so. Until the next time, my friend. Thanks so much for the sale and for the outstanding job packaging it. What a fantastic guitar! I've had a few Suhrs over the years, but this one is special!!! Fantastic! I really love it! Thanks Charles! Just got the guitar. Not many OH MY GOD moments in musical life. This is one of them. Absolutely beautiful guitar, with fat sounds to match. You were right to recommend it...this is a superior instrument in every way. Thanks again for an excellent transaction. It was a real pleasure. Charlie, sorry it took so long to email. I couldn't be more pleased with the Tele. It's all and more you said it was! Thanks again for quick shipping, great communication and a wonderful product. Positive feedback only begins to say how much I appreciate your great service and the superb care you took in packaging and shipping this guitar. And it's gorgeous! Simply stunning! !